Mr. Scriven was a man who experienced the friendship of Jesus through a life filled with person tragedies. At a young age he had to give up his military ambitions due to poor health. His fiancée accidentally drowned in 1843, the night before they were to be married. Soon after this incident, he set sail for Canada thinking he was destined to live alone, with Jesus as his only close friend. Around 1857 he moved near to Port Hope, Ontario where he again fell in love. He was, again, due to be married, but in August 1860 his fiancée suddenly fell ill of pneumonia and died. With no job in a hard economy, Mr. Scriven had to live with friends and acquaintances. His volunteer work with the impoverished and sickly, as he tried to live as closely to the Sermon on the Mount as possible, was frowned upon by those friends and many quickly disassociated themselves from him. He then devoted the rest of his life to tutoring, preaching and helping others. He became know as “the Good Samaritan of Port Hope”. Mr. Scriven wrote the poem in a letter to his mother in Ireland when she became ill in 1855. He had no material resources to send her – only a reminder that the most perfect friend, Jesus himself, was with her. The original title was “Pray Without Ceasing”. 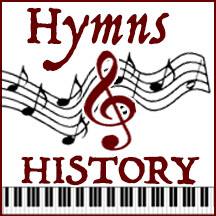 The tune was composed by Charles Crozat Converse and renamed in 1868, becoming the hymn “What a Friend We Have in Jesus”. Mr. Scriven did not have any intentions nor dream that his poem would be for publication in the newspaper and later becoming a favorite hymn among the millions of Christians around the world.